EEW Special Pipe Constructions GmbH has received an order from the Dutch company Heerema Marine Contractors B.V. for 16 pin piles for the Leviathan project. The Leviathan field is located about 125 km west of Haifa, Israel in the eastern Mediterranean and contains an estimated gas deposit of about 22 trillion cubic feet (621 BCM). The piles are required for anchoring the Leviathan production platform in the seabed. Due to the extreme depth and ground conditions, the piles must be very long. This is therefore, a special assignment for EEW SPC. For example, the first pile which has a total length of 156 meters recently left the production halls. 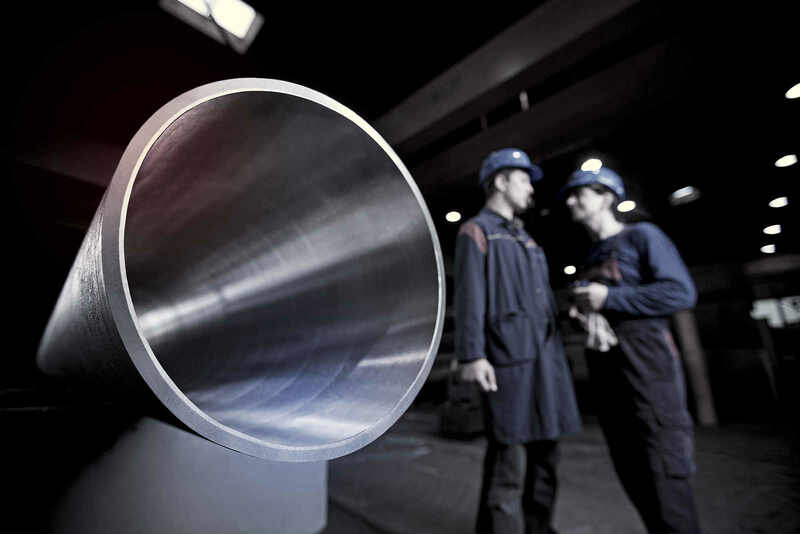 It is the longest steel pipe that the Rostock-based company has ever produced. Two SPMTs, 84 m apart, were electronically coupled in order to transport the pile out of the hall. The remaining piles with total lengths of 148.7 and 156 meters respectively will be produced over the coming weeks. In addition to the production of the piles, EEW SPC is also responsible for the production and installation of the sea-fastening.